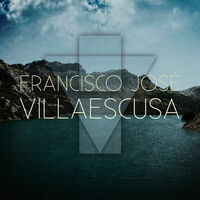 Francisco José Villaescusa is a Spanish composer who has published several works of instrumental music, including styles such as symphonic, new age, minimalist music, Celtic music; He has also worked in the composition of BSO and composing music for orchestra, piano, wind bands and concert bands. - In June 2016, he obtained a silver medal at the Global Music Awards for best composer, "Composition / Composer" for the theme "Encaje de Recuerdos" included in the soundtrack of "El Barrio"
- In August 2016 receives the award best instrumental piece "Best Song Instrumental / Piano" in the Akademia Music Awards also for its composition "Encaje de Recuerdos". - In February 2018, he obtained a silver medal at the Global Music Awards for best composer, "Composition / Composer" for the theme "Rainy Days". - In March 2018, he got the 2nd prize in the category "Young Orchestra" in the V International Composition Contest "Música Jove" for his composition "Andrómeda". - In July 2018, he obtained a Permanent International Competition Award "De la Creatividad al Piano" for the theme "Rainy Days".